Welcome to Cohen Orthodontics, where our patients are our friends. Dr. Gwen Cohen and our team love that we get to serve amazing people, creating positive changes in their lives, as we work together to develop the perfect, unique, and healthy smile for each patient. Our office has been designed to feel like a home. We want you, and your family, to be comfortable when you visit. In addition to our inviting reception area, we have created a space in which our patients feel comfortable and welcome. Those feelings are fostered by the friendliness of our team. We like getting to know each patient, and their family, and hearing about what’s been happening in their lives. Each appointment is another chance for us to catch up with a friend. As we come into work every morning, we look forward to a day filled with visits from our friends. Essential to the relationships we develop is treating you with respect, and that includes respecting your time. We never over-schedule and we almost always run on time, so you will not be kept waiting. Understanding that mid-day appointments are not always easy to make, we offer appointments until eight in the evening on Tuesdays and we start at seven in the morning on Thursdays. Should you have an emergency outside of regular office hours, Dr. Cohen is always available. In fact, you’ll be given her personal cell phone number, so you can call or text her in the evening, on weekends, and during holidays. Because seeking orthodontic care is a big decision, we believe you should know your orthodontist and their staff before committing to any course of treatment. Therefore, we offer complimentary consultations. During your consultation, which will last about 45 minutes, we will take photos and a digital x-ray of your mouth, perform an initial exam, and talk with you about your needs from an orthodontic standpoint, as well as what you want to gain from treatment. Based on that information, we will create a custom treatment plan that will have your healthy, new smile in place as soon as possible. 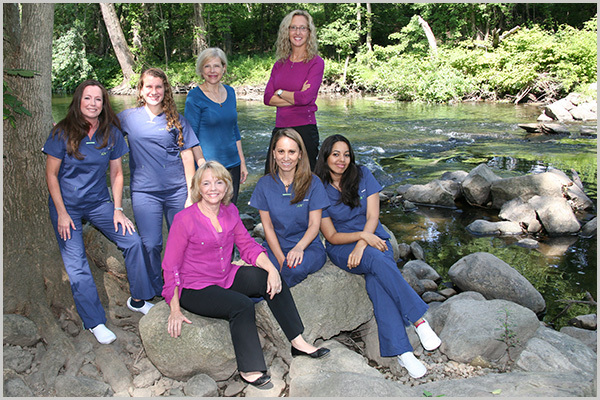 Our orthodontic office is located in Mahwah, NJ. We welcome and serve patients from all surrounding communities including Ramsey, Allendale, Wyckoff, Upper Saddle River and Suffern, NY. If you would like more information about our services, and to schedule your complimentary initial consultation, please give us a call. Everyone here looks forward to meeting you and creating a beautiful new smile that will have you grinning from ear-to-ear!